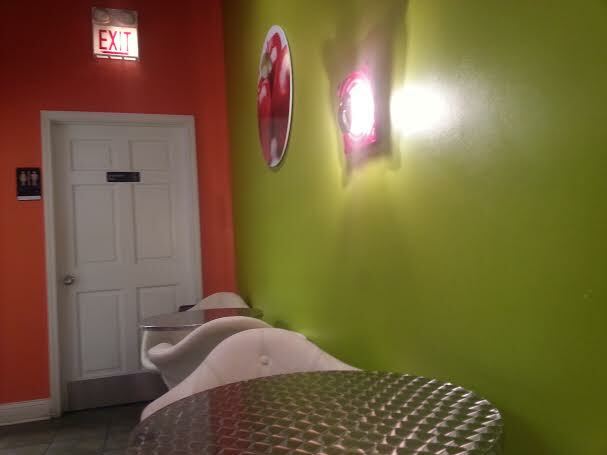 Froyo is a frozen yogurt self serve shop located near the River North side of Chicago at 446 North State Street. 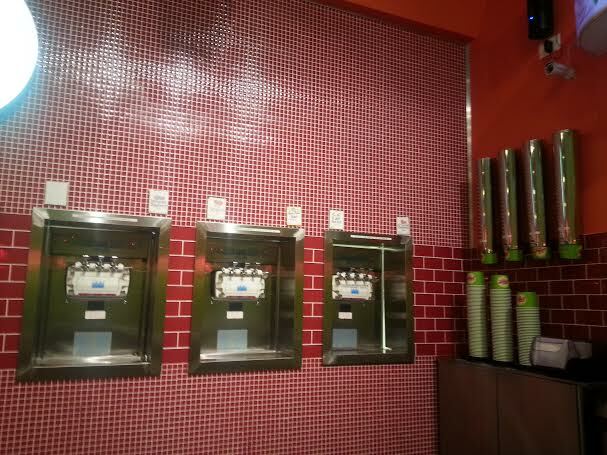 Most self serve shops go by ounce for price, Froyo is 49¢ per ounce, but it can be really easy to make the cup weigh a ton. 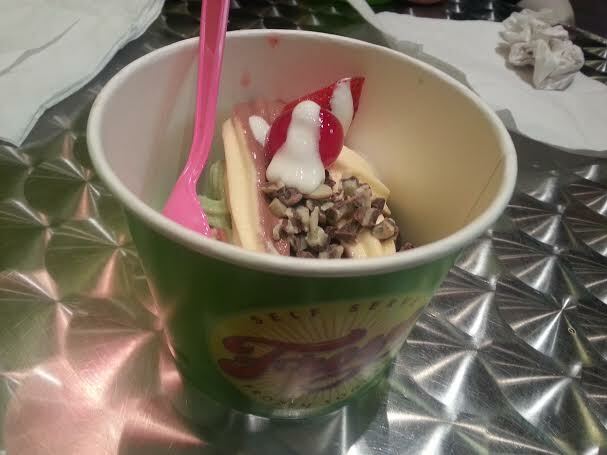 Froyo has about 14 different flavors at a time. When I went I asked for a sample cup because they had an irish mint flavor. I liked it and filled my cup with it and a chocolate/vanilla swirl mix. I went late in the evening, about 10/11pm and so a lot of their flavors were flipped over so I assumed they had shut down those machines for the night, the irish mint was barely going. On top of my frozen yogurt I got little pieces of andes mints and a strawberry and cherry that I put a little bit of melted marshmallow sauce on. I wanted to try it and a friend was treating me so I didn’t want to make it weigh too much or if marshmallow sauce may have been gross mixed with mint so I kept it confined to the fruit. The shop itself is oddly colored. It’s a weird lime green and basic red that every time I passed it drew my attention and slightly repulsed me. The inside has a modern feel to it and they have white chairs you can sit in and eat your frozen yogurt or drink coffee and they were really comfortable. It’s set up like most of the frozen yogurt self serve places I’ve been to, where you have two flavors at a machine and a mix of the two in the center.